Hello lovelies, finally Friday woo. What are your friday plans? I will be getting cosy in my pjs after a nice soak in the bath after my afternoon shift and watch rubbish tv and took into a curry, mmm. Here's another lipstick for you. Hello lovelies, I bought this at the Clothes show live and I can't find a shade for it at all and on there website it doesn't give you the option to see the shade range? So that's annoying. 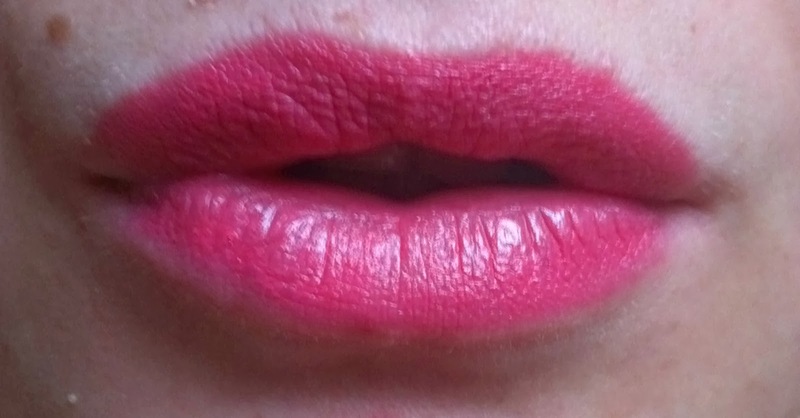 But the colour is so beautiful a pink that makes your lips look gorgeous with a flush of colour. Really pretty and nourishing on the lips. Not only is it a lip stain it is a cheek stain also! Who doesn't love a two in one product? As it is a stain it goes on quite glossy then dries quite matte but with still some added gloss to shine. I love the girly yet sleek packaging, no scent to it and animal cruelty free which is always a good thing! It lasts a good few hours and I am really loving lip crayons. I believe this only comes in one colour. At least that's what some reviews have said! Regardless, it's a gorgeous colour. Think I need to get hold of it :) Great post! I'll be so sad when the month is over and I have no more gorgeous lipsticks to swoon over haha. It is a gorgeous shade hunny.